Welcome to the latest edition of the Ward Elementary School Newsletter ForWARD for the 2015-2016 school year. The next teacher appreciation breakfast will be on Thursday, March 17th, hosted by first grade families. Please be on the lookout for an email from Maritza Jones about the items that you can contribute. Any questions - please contact Maritza at pastranajones@gmail.com. PARENT VOLUNTEERS NEEDED!!! Ms. Packard, the Ward librarian, needs more parent volunteers in the library to help during library times for grades K, 1 and 2. Parents can sign up online through VolunteerSpot by clicking here. The TEACHER RAFFLE is going on now! Once again, Ward School teachers and staff have donated their time and creativity with unique activities for our children. All funds raised help the Ward School PTO support ongoing programs such as Creative Arts and Sciences, purchasing new equipment and supplies for the classrooms and library, and much more! Ticket forms and the Teacher Prize List are available on the PTO's website. Tickets are $5 each. Please make checks payable to Ward School PTO and submit your tickets and payment (check or cash) in the box in the front lobby by Friday, March 18th. Extra tickets can be found there as well, and can be downloaded by clicking here. Questions? Please contact Stephanie at stephanielistokin@yahoo.com. Ward After-School is now accepting applications for the 2016-2017 school year! Applications have been emailed to current families. For families new to our program, you can email us at donna@wardafterschool.com to request an application. Applications are due by Monday, March 28. Applications are due by March 28. This is a REAL deadline! Our program strives to accommodate all who apply by the deadline. However, we may receive more applications than our license allows. A waitlist may be necessary. 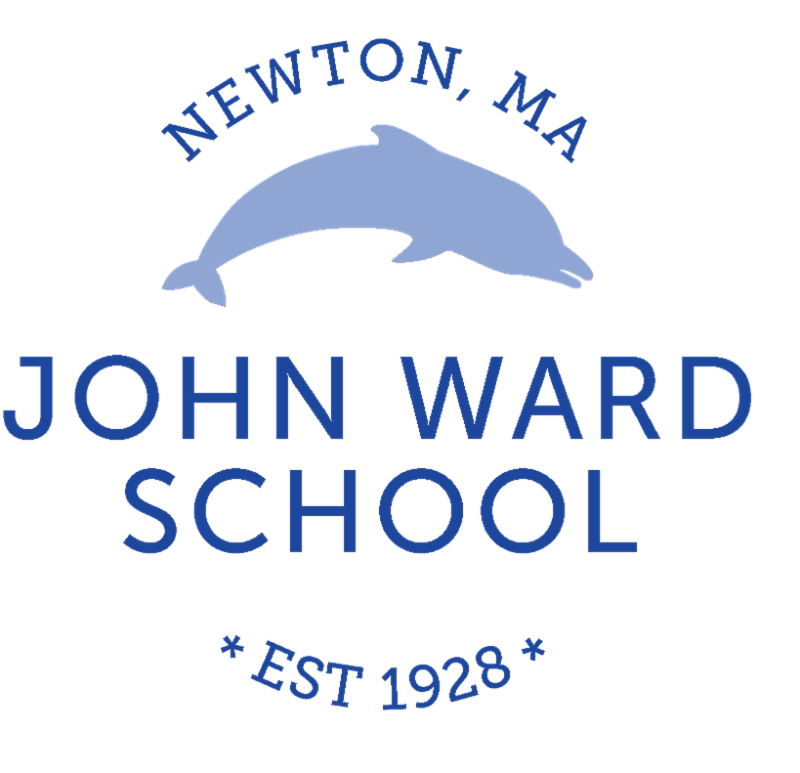 If you have any questions, please don't hesitate to contact us at donna@wardafterschool.com, or 617-965-3087. Thank you! Please hold the date of April 5 for a school-wide pizza night. Bertuccis in Newton Corner will donate 15% of your bill to the PTO. Please bring your family and friends for a great night out. Bertuccis is located at 275 Centre Street. This event is all day! The only thing you need to do is present this flyer to your server. We are encouraging Ward families to come for dinner between 5:30 and 7:30 so that we can all be together for a fun night! We will also have a few raffle items there so get ready for some extra fun! Please contact Lisa Schwarzberg with any questions at 917 327 6132. On April 7th, CASC is bringing in Ruby Bridges to Ward to speak with our students in the 3,4, & 5th grades. She came to Ward a few years back and it was the highlight of the school year. The program is described below. She has agreed to stay for a book signing after her presentation. Parents may choose to purchase her book, Through My Eyes, for their families. It would be great if you could do sothrough this link, which benefits our PTO and CASC. The book is very readable and has a lot to offer. Ruby Bridges is living history. She was the first African American child to enter the newly desegregated New Orleans school system in 1960. She has written her memoir, Through My Eyes, for ages 8-12. The book describes her experience as a six-year old entering an all-white school amidst hatred and bigotry. She also contributed to a biography entitled Let's Read About Ruby Bridges, which was written by Robert Coles. She is also the subject of Norman Rockwell's painting, "The Problem We All Live With." Her riveting program for grades 3-5 blends her powerful, autobiographical experience with a history and civics lesson. She shows a five-minute and fifteen-minute DVD or CD of the historic day in New Orleans in 1960 and tells her experience through her six-year old perceptions. She skillfully teaches what civil rights are and what students should do if they feel their rights are being challenged. She teaches what students should do if they feel a law or laws need to be changed to reflect civil rights. Throughout the program, she uses a question and answer format to teach the historical and legal concepts she introduces. Save the Date! Join the Brown and Oak Hill PTOs and the Newton South School Council on April 6, from 7-8:30 pm, in the Brown Middle School Auditorium, to explore the research on starting high school later and the impact it has on our teenagers. We hope to continue the community conversation around the the impact of inadequate sleep on our teens and welcome middle and elementary parents to the discussion. The featured speaker will be Dr. Christopher Landrigan, Director of the Sleep and Patient Safety Program at Brigham and Women's Hospital and Research Director of Inpatient Pediatrics at Boston Children's Hospital. Dr. Landrigan is also a Brown and South parent; he was the featured speaker at January's High School Start Time Forum at Newton North. Catch up on the research and join the conversation-we look forward to seeing you there. "Unplugged and Connected!" reminds us there is more to life than what is on the other side of a plug. The 2016 calendar provides suggested activities and events for friends, families and neighbors to enjoy together. Please visit www.familyaccess.org and click on the Newton Unplugged link on the main menu or go directly to the calendar here. Each year students look forward to "No Homework Night", this year on March 9, and the other thirty suggested activities and events. This year's calendar includes some old favorites and some new events and ideas for spending unplugged and connected time together. For questions, contact Family Access of Newton, www.familyaccess.org. The School Committee will meet on March 14, 17 and 28 at 7 pm. All meetings take place at the Education Center, 100 Walnut St., Newtonville. An agenda for the upcoming meetings is available here. Five years ago on a sunny day in April, MIT opened its doors to the world, welcoming 20,000 visitors to campus to experience the spirit of discovery and innovation that hums throughout our departments, labs, and centers. Today, as we prepare to celebrate 100 years on the Cambridge side of the Charles River, we are thrilled again to invite you to join us for what promises to be an exciting, informative, and lively introduction to the world of MIT. Last November, Professor Leslie Norford and Associate Dean Elizabeth Young extended an invitation to you and to your students, teachers, and staff to attend our April 23, 2016, Open House entitled "Under the Dome: Come Explore MIT." I write now to say, "Please come! And encourage your school community to participate!" We have confirmed hundreds of Open House activities -- hands-on projects, exhibitions, lectures, and demonstrations- that will appeal to a wide range of interests, from science and engineering to entrepreneurship and the arts. In early April a full list of activities - from "Measuring the Speed of Light with Chocolate" to "Drive an Underwater Robot" - will be available online by clicking here. The Open House will run from 10:00 AM to 3:00 PM across MIT's main campus. Admission is free. Please write to openhouse@mit.edu with any questions. If you haven't yet donated to the Annual Fund, we still need your contribution to purchase 10 new laptops to replace aging ones in the upstairs cart. These laptops are estimated to cost $10,000. This is in addition to other technology items identified by Principal Peller as items the Ward PTO can purchase for Ward School this spring and it supplements technology that NPS is earmarking for Ward. Please donate today so that we can buy these laptops and get them into service this school year. Don't wait to the end of the year! A VERY BIG THANK YOU to all those Ward families who have already made their Annual Fund contribution for this school year. DONATE ONLINE TODAY. Or drop your check in the box in the lobby made out to "Ward PTO." Please help us to hit our goal by donating today so that we can stop sending these Annual Fund solicitation messages. There will be a special Ward School event on the evening of May 12. We need volunteers to help plan and execute this special event. If you would like to be a part of the event committee, please contact Laurie Ufland atlteifeld@hotmail.com. Newton's Creative Arts & Sciences presents an evening with this year's Concert Series performer, Crocodile River Music. Come celebrate the global music experience that students enjoyed this fall. Crocodile River Music brings the music of Mali, Brazil, Spain and Trinidad, and the instruments and dances that celebrate these cultures to Newton. Join musicians from Bamako, Mali and Boston, Massachusetts for an evening of world class entertainment in your own backyard. Complimentary wine, beer, and light fare round out what is certain to be a fabulous event for a 21+ audience. Tickets are $35/person and go on sale February 22. Shop at Amazon and up to 10% of your purchase goes to Ward. Please bookmark this page and click here every time you shop on Amazon. A percentage of your purchase (which varies by category) will automatically go to Ward. If you're looking for news about local educational and non-profit events, or services offered by local tutors, merchants, and other service providers, check out theCommunity Notes page maintained by the Newton PTO Council. Click here to link to their website, which you can search by category.